Responding to the need for foreign language fluency in ever-globalizing business and cultural spheres, the federal government and foreign language institutions in an eleven-member task force collaboratively published a set of nationally recognized, foundational standards for foreign language teaching. Rather than rely on teacher-centered classrooms where rote memorization is the rule, standards-based curricula are student-centered and emphasize meaningful communication in contexts that build cultural understanding. The new standards emphasize performance-based assessment, offer students opportunities to communicate in a variety of communicative modes and experience authentic cultural materials. In order to investigate the applicable strategic use of videochat technology in standards-based foreign language teaching, instructors from the Hindi STARTALK program at the University of Pennsylvania conducted a small case study to assess student responses to this modern technology-based interactive module. This paper focuses on a pedagogical intervention in which the Hindi instructors for the summer programs in 2010 and 2011 aimed to discover how communications technology, specifically Skype technology, could be used to effectively implement the National Standards. 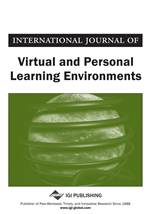 While many studies have explored the role of computer-mediated communication and telecollaboration in foreign language education, few have discussed the relevance of virtual communication in the classroom and applicability in meeting the National Standards (Standards Collaborative Board, 2006) in the United States, especially in the case of less commonly taught languages. As stated in ACTFL’s (American Council on the Teaching of Foreign Languages) report, “A Decade of Foreign Language Standards: Impact, Influence, and Future Directions” (2011), research into implementation of useful educational methods to meet National Standards for less commonly taught languages is in fact lacking. They state in their report that the distribution of languages in scholarly references that discuss the Standards is disproportionate, with those less commonly taught, such as Hindi, demonstrating significantly low representation (p. 4). In reflecting upon their “Survey Findings” document, ACTFL mentions patterns in teacher’s responses to practices in the classroom, particularly in regard to use of technology: “Lowest impact of standards is in the areas of assessing students’ ability to interact with target-language communities and providing opportunities for students to communicate with others via technology” (ACTFL, 2011, p. 11). It is therefore evident that the topic of utilizing innovative technologies, such as videoconferencing programs, especially in cases of teaching less commonly taught languages, requires further investigation. In order to explore usefulness of video chat technology in the Hindi language classroom to meet the Standards, basing a case study on the STARTALK model proved ideal because of its emphasis on the standards and student interaction. Heritage and non-heritage language learners in the Hindi STARTALK program at the University of Pennsylvania communicated with native Hindi speakers in India and the United States through Skype video chats throughout the three-week intensive language programs in 2010 and 2011. The majority of the students were non-heritage students in both programs. All students had the opportunity to develop relationships with native Hindi speakers in India through group Skype video chats six to eight times. Both heritage and non-heritage students conversed in the Skype sessions with native speakers in separate groups in almost all of the sessions, divided based on their novice levels. During the sessions, students were exposed to and compared cultural artifacts, made connections between cultures, and they grew more enthusiastic about learning Hindi. By analyzing students’ descriptions of their experiences using Skype in beginning level Hindi classes through STARTALK, this case study reveals how such a technological intervention serves to meet National Standards in foreign language education. Until now, there is insufficient research on the implementation of instructional methods integrating innovative technology specifically to meet the National Standards, particularly for less commonly taught languages such as Hindi. Innovative technology such as telecollaboration via video chat must be adequately analyzed in this specific context. The notion of “Intercultural Communicative Competence” (ICC) is also lacking in developmental research in language learning, which is central to interactions that take place in online cultural exchanges (Bikowski, 2011). In order to assess the ability of programs like Skype to offer means of naturally enhancing this competence while meeting the standards, we use this example case study. We first give a general overview of the national STARTALK program. We want to ensure a familiarity with the National Standards, the framework in which we are analyzing the findings of this study, which is why we briefly review its history and purpose in Section 2. We later dissect its contents in the case study evaluation, leading to our conclusions. In order to situate the use of innovative technology in foreign language curricula, we discuss a brief history thereof, including CALL and CMC, in Section 3. In Section 4, we give details of the case study in terms of framework, participants and methodology. Finally, we assess the findings of the study in Section 5, and follow with the evaluation and conclusion.